Gerry Rankin, a GOCHA Board Member and a 76 year resident of Glenoaks Canyon, submitted the following comment on the City's intent to adopt a Mitigated Negative Declaration relating to "Biogas Renewable Generation Project." It is an important read and provides some important information about the proposed Biogas Plant that GWP wants to build on the Scholl Canyon Landfill. The City of Glendale has proposed an "experimental" Anaerobic Digestion Facility (AD facility, AKA "Biogas Renewable Generation Project") and a Power Generator to be located at the Scholl Canyon Landfill. An alternative waste management facility (AD or otherswise) is a great idea, but NOT in a residential area--not at Glendale's Dump. 1. Find a non-residential area for the Anaerobic Digestion Facility--don't locate it at Scholl Canyon Landfill. 2. To CLOSE the dump by June 2028--revise terms of the Joint Powers Agreement that's coming up for renewal in October 2017 to include this final closure date. 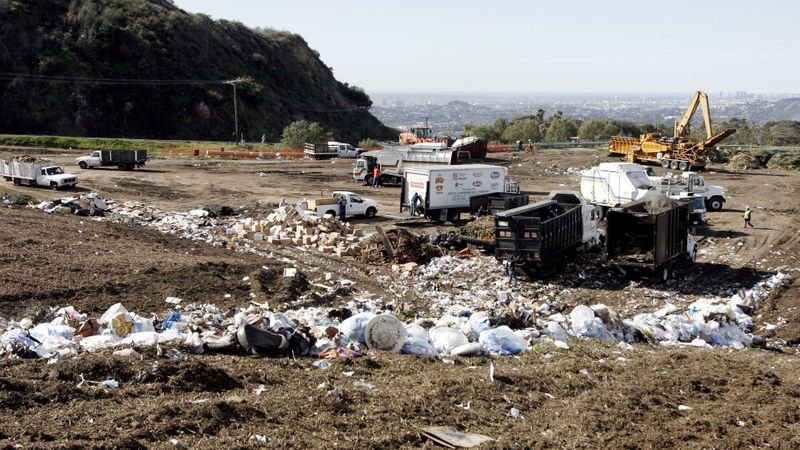 Working with CFLA and the residents of Glendale, Eagle Rock, and Pasadena we are trying to get a large group of people down to the Glendale City Council Meeting tonight (August 29th), to voice our concerns about the proposed projects up at Scholl Canyon Landfill. The City NEEDS to hear from us, they MUST see a large crowd of concerned residents present at their chambers if we want to make a difference. Please join us and bring a friend along. All you have to do is be present--that's it. Several CFLA members will be speaking during Oral Communications. Wear a blue top, if you have one--any shade of blue is fine. There will be a Glendale City Council Candidates Forum sponsored by GOCHA and Verdugo Woodlands HOA. Join us as we hear where the candidates stand on the Scholl Canyon Landfill and Proposed Power Plant. The Canyon's Disaster Preparedness Program Come listen to Isabel Meyer discuss the details of the Canyon's Disaster Preparedness Program. The Glendale Fire Department and Glendale Police Department will also be present to discuss how their efforts will dovetail with the Canyon's in the event of a fire or natural disaster. The Scholl Canyon Landfill City Manager Scott Ochoa and Council Member Vartan Gharpetian have graciously offered to speak at our meeting to share with us the current status of affairs with the landfill. Richard Alatorre Park, Base of the Eagle Rock 7600 Scholl Canyon Rd, Los Angeles, 90041 (just north of 134 Freeway, and north end of Figueroa Street. Park along street; location is close to road). Communities United to Stop Scholl Dump Expansion is holding a press conference tomorrow, Tuesday, March 22, 2016 at 9:00am. The event will be at the Eagle Rock Rec Center (east of the playground). Even though speaking roles are strictly limited to 4 newsworthy leaders at this event, your PARTICIPATION as a conscientious community stakeholder making visible your opposition to the expansion of the Scholl Dump is extremely important. Attire: WEAR BLUE, dress appropriately for 70 degrees, bring a dust/particulate mask for nose and mouth. Parking: At Eagle Rock Rec Ctr parking lot OR along Eagle Vista. The message of the event is END, DON'T EXTEND THE DUMP. TAKE DUMP EXPANSION OFF THE TABLE. If you plan to attend, please rsvp to eapd.la@gmail.com so that the organizers can have an idea of how many people will be attending. Please join us for an informational meeting to learn about concerns Dr. Clarence Hall, Geologist and UCLA Professor Emeritus, has about the Scholl Canyon Landfill, its possible expansion and the EIR report that is slated to go before Glendale City Council for approval this coming January. Is the landfill built on solid granite? Are all the earthquake faults included in the EIR? Are the barriers that collect toxic waste being monitored regularly? These questions and more will be discussed at this meeting Monday, November 9th at 7:00pm at the Joe Bridges Clubhouse.